Full USA Cattlehides, Chromium Tanned, in Pecan Brown! Marked down by $50 on our New Deal of the Week! Need a large hide? OK, this may be your leather right here. This is a USA steer full hide, chromium tanned, and smoothed at the tannery to yield a very consistent surface. and the temper is 'regular' so it's not terribly soft either. Great for making boots, covering a bench or table, or wrap your pickup truck with it and make a statement. Regular pricing on these hides is $175 each, but we've knocked $50 off for this new Deal of the Week. $125 each, 48-state USA shipping included. EMBOSSED, THIN, USA CATTLEHIDE SIDES ON SALE - CHOOSE FROM 7 COLORS! MARKED DOWN TO $50 EACH, WITH FREE USA SHIPPING! 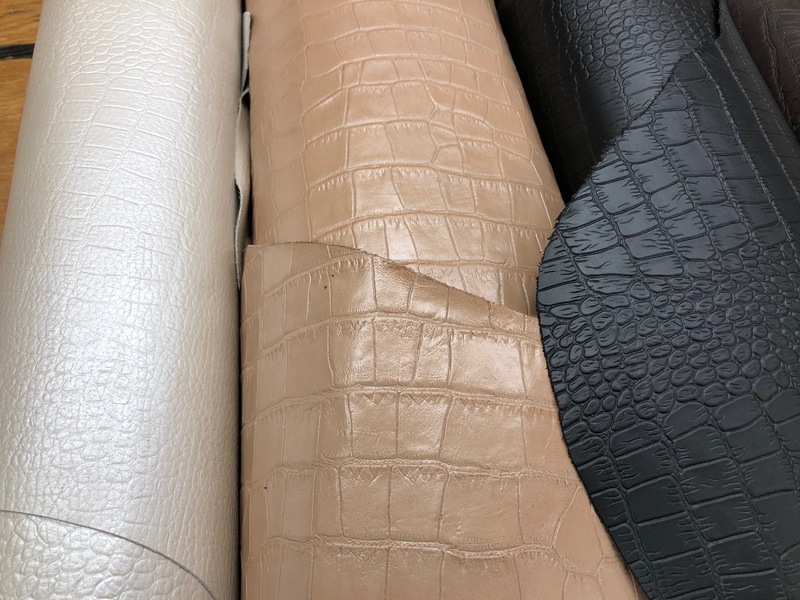 Left to Right: Pearlized Bone, Tan, Black, Wigwam, White, Mocha, and Bone - all embossed with a crocodile skin pattern..
Straight out of Gloversville, these embossed USA cattlehide sides were supposed to go to the footwear industry, but these excess sides weren't needed. These are all regular temper sides, 18-20 sq ft of surface area, and we have about 47 bob-jillion of them. SOLD OUT of WigWam color. Too many in stock, so let's move some leather, ok? Marked down to $50 each, and, as always, USA shipping is FREE! Outside of the 48 states? Your leather will be folded to fit in USPS boxes. ALL DEALS BELOW ARE STILL AVAILABLE! 4 Spools for $10 flat, USA shipping included! The Brettuns Village Deal of the Week updates every Wednesday morning at somewhere around 6 or 7 or 8 am, EST. Deals remain posted for one week, or until our inventory is sold out. Any items left over are posted on our Clearance Page. or money order just send us an e-mail (leather@brettunsvillage.com) and we'll set aside your Deal until your payment arrives. Some of our customers put an event on their PC's calendar to remind them to check out our DOTW each Wednesday morning. Some of our customers think this is a ridiculous waste of time, but we think they sneak in here and take a peek anyway. United States is always included in our prices - there just flat aren't any other fees, charges, or expenses to add. long as you don't mind us folding your leather. 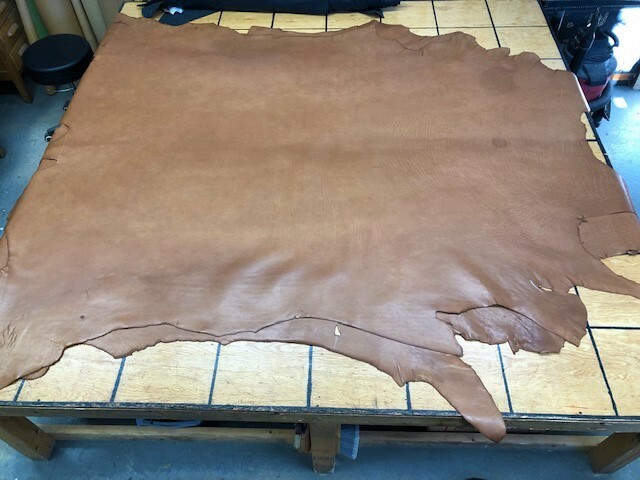 Brettuns Village Leather offers leather cow, goat, and exotic hides, leather sides and leather scrap pieces as well as other leather craft supplies for a variety of uses at very low cost. 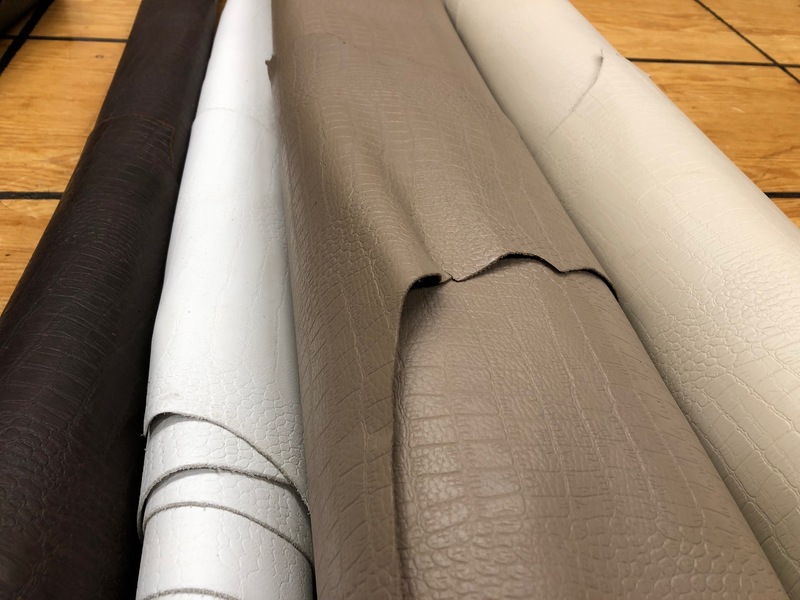 Our selection includes several sizes, colors and thicknesses of first-quality leather hides and remnants, leather handsewing thread, belt buckles, brass and steel rivets, leather craft tools, and other leather craft accessories. 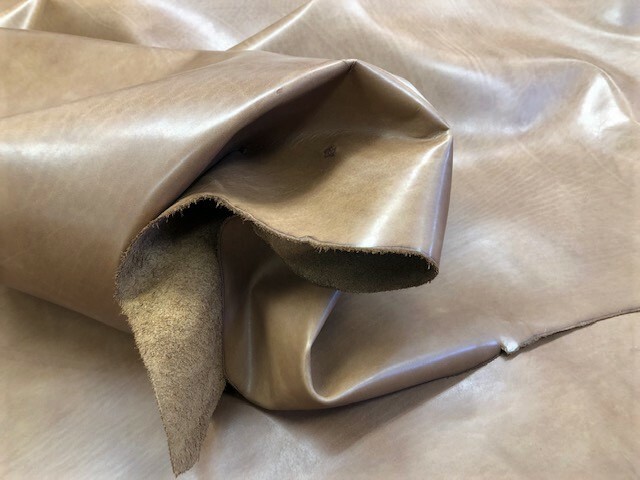 We buy our leather and other products from leather goods manufacturers and tanneries throughout New England and around the world, and help them reduce excess inventory. We also help them avoid sending good leather to the landfill. The end result is that we are able to offer high quality leather and craft items to you at low prices. Our inventory of leather and leather craft items changes regularly, so we offer a free leather crafts e-mail newsletter to keep our customers informed of new arrivals in the barn. 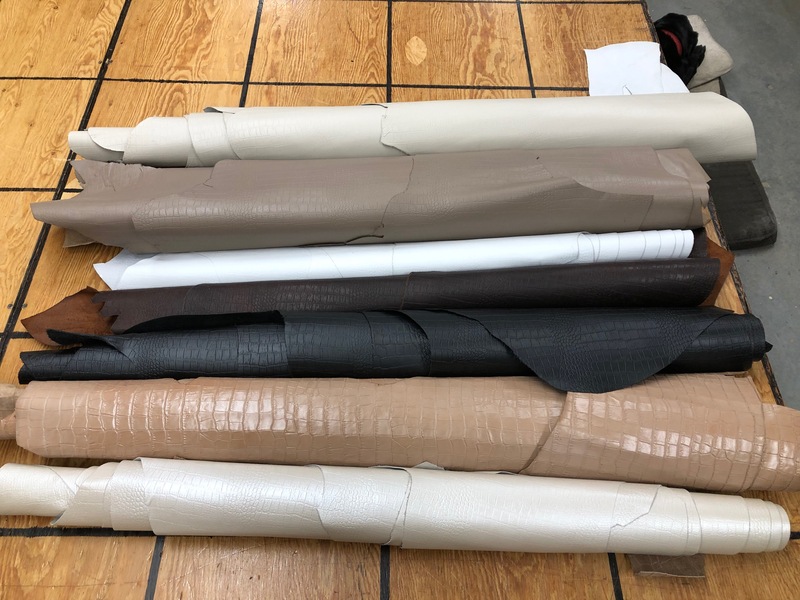 Brettuns Village Leather is a great place to buy your pull up leather, tooling sides, vegetable tanned thick sides for armor making, oiled harness leather, accessories, and findings. Shipping is always free for our customers in the contiguous 48 states, and we do our best to extend this policy to our customers in Alaska, Hawaii, and all US Territories. Brettuns Village, Inc. is based in Lewiston-Auburn, Maine, USA.